The study of colors and how it impacts individuals on an emotional level has been a powerful thing for ages. In this module, we'll discover how your daily power color, added subtly into your wardrobe, can help you feel a little boost in your daily life and activities. From both scientific studies to a spiritual ones, colors have a large impact on our thought frames. The psychology behind colors is an incredibly powerful thing. It's used in determining brand colors, marketing techniques, decorating themes in homes, and much more. The psychology of color is an important role in just about any industry - including real estate. Although, we as Realtors, may not always focus on colors as much as our designer/staging counterparts do in the industry, how our clients feel about certain properties can be heavily impacted by something as simple as wall paint colors. People see in color and color has been known, scientifically, to impact individuals on an emotional level. In the study and science behind numerology, color is an important factor in knowing the strengths and weaknesses of individuals. From that study comes what are called power colors. Power colors are identified by a particular mathematical number based on certain identifying elements unique to each individual that gives you a unique "power number" that then leads to your "power color." It is said, that when an individual surrounds themselves with their power color, from an emotional to a spiritual level, it is said to give them strength and inspiration in their daily lives. Now, these particular power colors don't follow us for a lifetime, in fact, they change on a daily basis. In this module, we're going to show you how to calculate the necessary, yet simple, data to figure out your power color for the day. You don't have to believe in these sort of things of course, you're welcome to continue to delve into the more business-focused coaching section of LRE, but we're heavy believers in the science of personal growth. Therefore, our personal coaching section of LRE is going to hold a lot of modules detailing growth from multiple aspects: motivational, spiritual, scientific, self-love, etc. 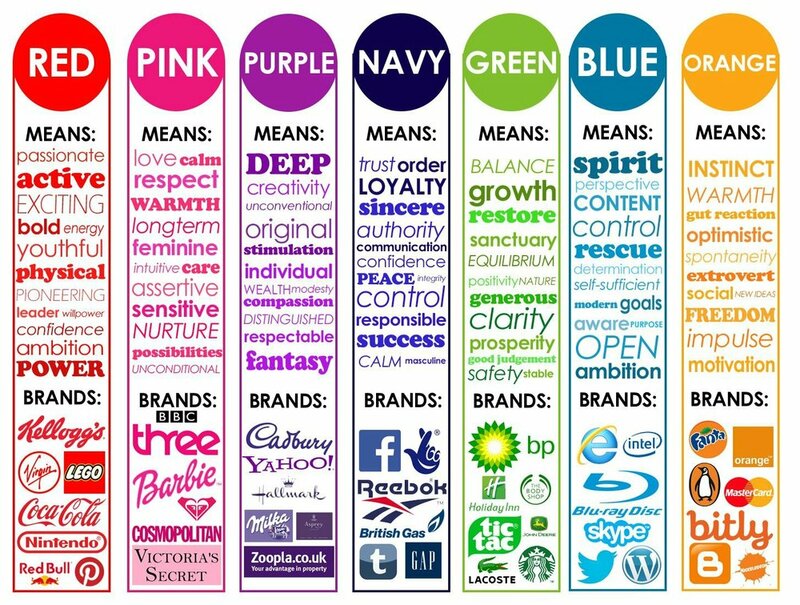 The study of colors is HUGE when it comes to brand building, and even bigger still in how it impacts people on a scientific approach. So it coincides with the idea that surrounding yourself with certain colors gives you an emotional "uplift." Yellows can get you in a brighter, more cheery mood. Red can either get you ambitious and motivated, feeling like a leader. Blue could help you feel more secure, grounded, and trusting. Now the numerology approach to the study of colors says on a daily basis, the world around us, the energies we're surrounded by, says that the "universe" tells us what the color we need on a daily basis is, to be our best selves. Does this mean to paint your house different colors every day? Not at all. But it is said that if you add subtle hints of your daily power color into your wardrobe or surroundings on the days you feel at your lowest, it could give you a subconscious boost in the parts of your life you need a kick in the most. So below, we'll dive into how you can easily figure out what your daily power number is to then know your daily power color. To figure out your power color, we'll first need to figure out your daily power number. In this technique, we're going to use the study of Numerology to help discern the color that connects with you the most. Your daily power number is an indication of the energy that will be surrounding you that day. This number can play a factor on whether you're going to have a more pleasant day, or if your day is expected to be difficult. You can then wear a certain power color in your outfit for the day to help swing the energy of your day in one direction to another. To start, let's calculate your daily number. It's a pretty simple calculation. First, add the full current date (day, month, year) to your full birth date, then reduce to one digit. You won't reduce to one digit if you get to a number of 11, 22, or 33. In this example, your daily power number would be 8. Now, with whatever number you land on, you'll want to correlate your wardrobe for the day with the color of that number to ensure you have a balanced day. This doesn't mean you have to wear only that color, just use your daily power color in either jewelry, accent pieces, undergarments, or even your shoes. Add a little bit of your daily power color into your wardrobe to balance the energy you'll be facing. After you've made your calculation, review the color and number guide below to determine the color you'll need. Add your daily power colors to your day and see if it helps keep a more balanced day for your energy. RED: This color in your daily power color represents your need for balance in energies in your power, independence, and authority in the situations you'll face for the day. ORANGE: Orange has a focus on giving you a balance in your tranquility and peace. YELLOW: Yellow balances your optimism and joy in your energy. GREEN: Green provides a more systematic and organized day. BLUE: Blue gives you the freedom to make changes that you've been holding back on. INDIGO: Indigo balances your responsibilities and your love in personal relationships (or with yourself). VIOLET: Violet balances your spiritualism and intuition to help you find guidance within yourself. PINK ROSE: Pink rose balances your gentleness and tenderness. GOLD: Gold helps you materialize the things you need. SILVER/WHITE: Silver helps you focus on a vision and illuminates the path you need to take for your future. RED/GOLD: Red and Gold balances the power you need in achieving abundance and prosperity. SKY BLUE: Sky blue is the calmest of blues and balances your energy in selfless love and fidelity.